100% RISK FREE PURCHASE: Purchase with complete peace of mind. We offer a full 100% money back guarantee. 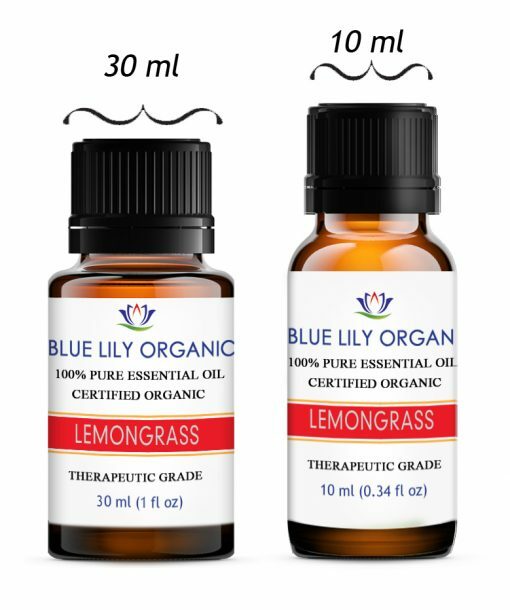 If you are not satisfied with Blue Lily Organics Lemon Grass Essential Oil, we will refund your entire purchase. BEST QUALITY ENSURED – Each oil is GC/MS tested to ensure 100% certified pure therapeutic grade quality. Bottled and packaged in a cGMP certified facility to ensure purity throughout the bottling process. 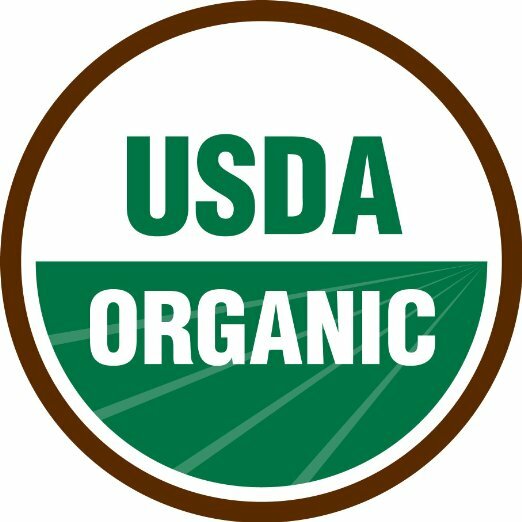 No pesticides, herbicides, or additives. All oils stored in temperature controlled rooms, with minimal light, to ensure therapeutic properties are not compromised. 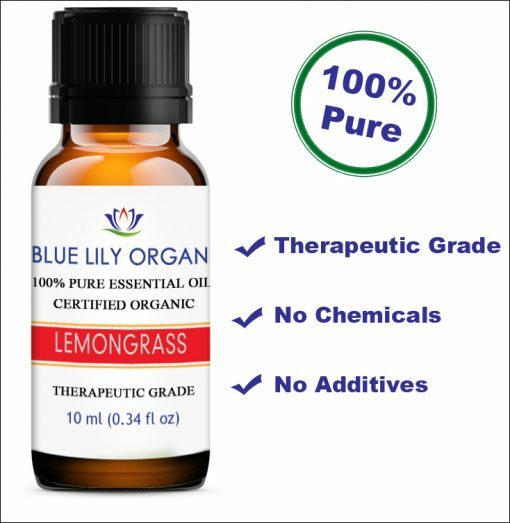 CERTIFIED ORGANIC PREMIUM QUALITY LEMONGRASS ESSENTIAL OIL – Therapeutic grade, 100% pure, USDA Certified Organic Non-GMO, gentle and effective natural lemongrass essential oil. No toxins, additives. Unfiltered and undiluted. Steam distilled made from non-GMO sources. 100% RISK-FREE PURCHASE: Purchase with complete peace of mind. We offer a full 100% money back guarantee. If you are not satisfied with Blue Lily Organics Lemon Grass Essential Oil, we will refund your entire purchase. Lemongrass Essential oil also known as Cymbopogon; It is a genus of about 55 species of grasses. It used as aromatherapy, for problem oily skin, and as an antiseptic. Extracted from the fresh grass of the lemongrass herb, this oil widely known for use in aromatherapy. Lemongrass oil a popular herb that gives a unique citrus flavor to the foods and drinks in which it mixes. 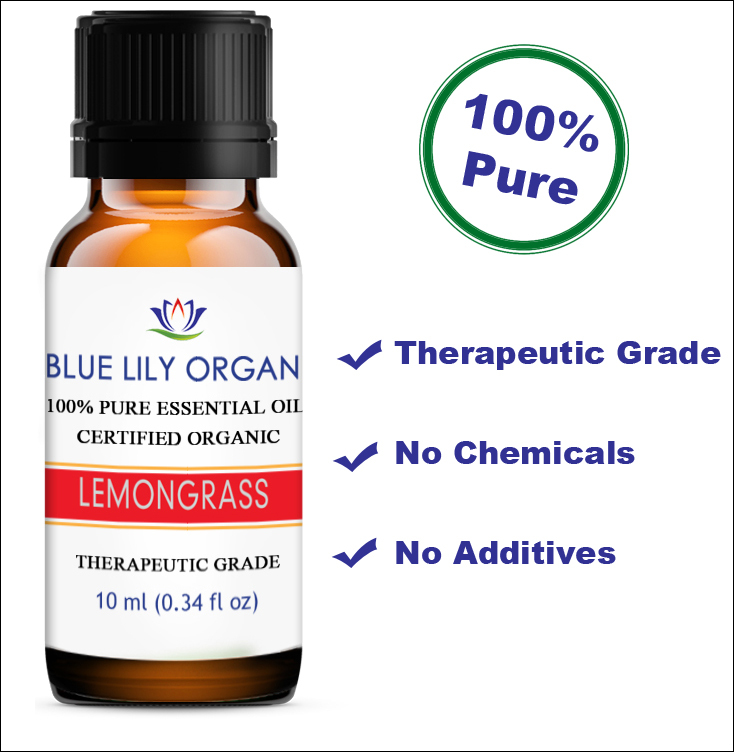 Blue Lily Organics Lemongrass Essential Oil is 100% Pure Therapeutic Grade. Lemongrass Essential Oil obtained by the steam distillation extraction method using the freshly harvested leaves of lemongrass plant. Lemongrass knows for its deeply energizing and antiseptic properties. This oil is perfect to use with aroma diffuser to spread a sense of calming aroma within the interiors of home or office. Lemongrass oil also used as an all-natural insect repellent oil. Just add a few drops in aroma diffuser to flee-off insects from the surroundings! Add a few drops to your favorite massage oil to create a calming effect on mind and body. 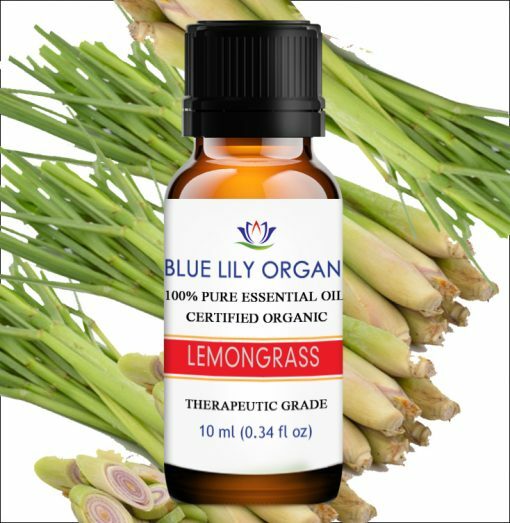 Lemon Grass Essential Oil has mild fresh citrus like aroma that improves mental clarity, beneficial in muscle pain and sprains. It is the perfect option for natural insect repellent to ward off mosquitoes, flies and other irritating bugs. It used in India as a medicinal plant and is common in Asian cuisine. It commonly used in tea making in countries in Africa and South America. 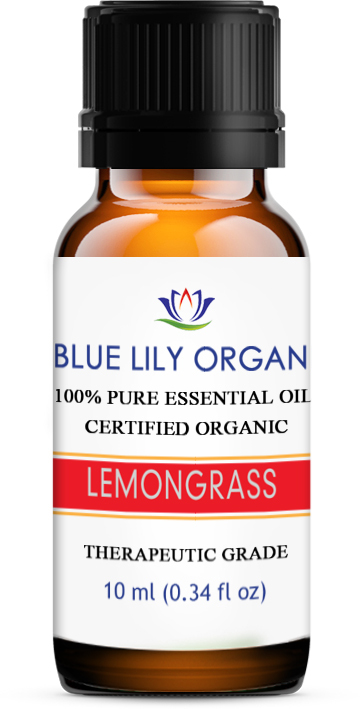 Lemongrass essential oil combines well with the essential oils of citrus, wood, mint and herb families. Like essential geranium oil and essential mint oil, lemongrass essential oil can easily dominate a mix. So use it at least in the beginning. Lemongrass Oil is a source of essential vitamins such as vitamins A, B1, B2, B3, B5, B6, B6, folate and vitamin C. It also provides essential minerals like magnesium, phosphorus, manganese, copper, potassium, calcium, and zinc Iron. Lemongrass oil is a natural (analgesic) and anti-inflammatory analgesic, meaning it can relieve pain and reduce inflammation. It is particularly effective at relaxing muscles, relieving headaches, relieving abdominal pain and cramping, and relieving joint pain. Lemongrass oil is a great complement to various skincare, cosmetics and industrial products such as soaps, lotions, creams, and cleansers. It also works as an air freshener and deodorizer, especially when combined with other essential oils such as geranium, mint, cedar, helichrysum, ylang-ylang, and conifers such as spruce, fir, and pine. These mixtures can simply be added to an oil burner, a diffuser or an evaporator.